My three-plate colour etchings and painterly monotypes are primarily concerned with exploring the landscape or cityscape. I make visual sense of the scene before me by finding and simplifying the shapes, exaggerating the natural patterns and rhythms, and describing the colour, using my own personal interpretation. Within the finished work, I hope to create an atmospheric and individual response. 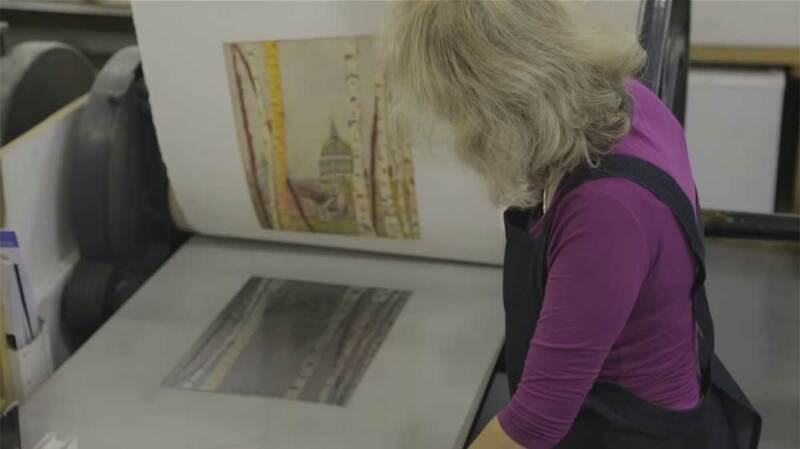 In the late 1970s, I trained as an artist at Roehampton University in London, and more recently, I studied printmaking at Morley College in Lambeth. My prints have been exhibited widely in the UK but they’ve also been shown in France, Germany and the USA. I was elected an Associate Member of the Royal Society of Painter-Printmakers (ARE) in January 2008. I became a full member (RE) in 2011.